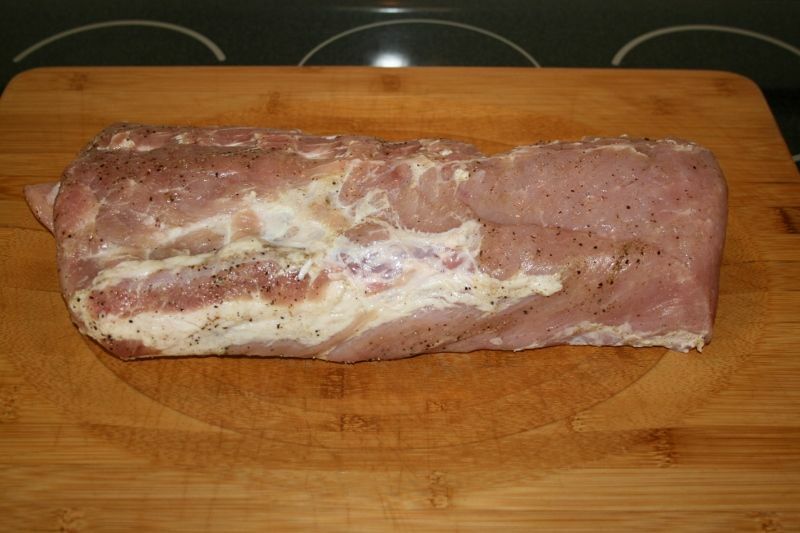 Started out by setting a loin in Mad Hunky Pork Brine for quite a few hours. 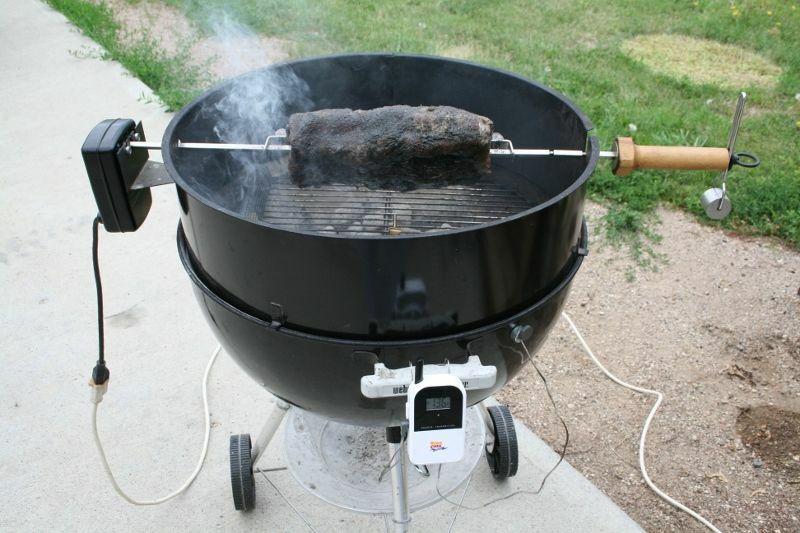 Pork loin on the rotisserie smoking in red oak after it was then seasoned with Tatonka Dust. 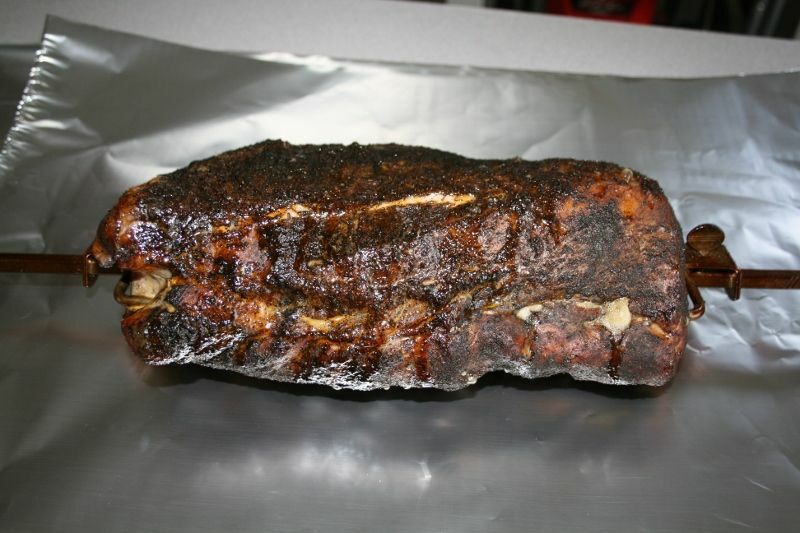 When the loin hit the 150º area pulled it and wrapped in foil to reat. 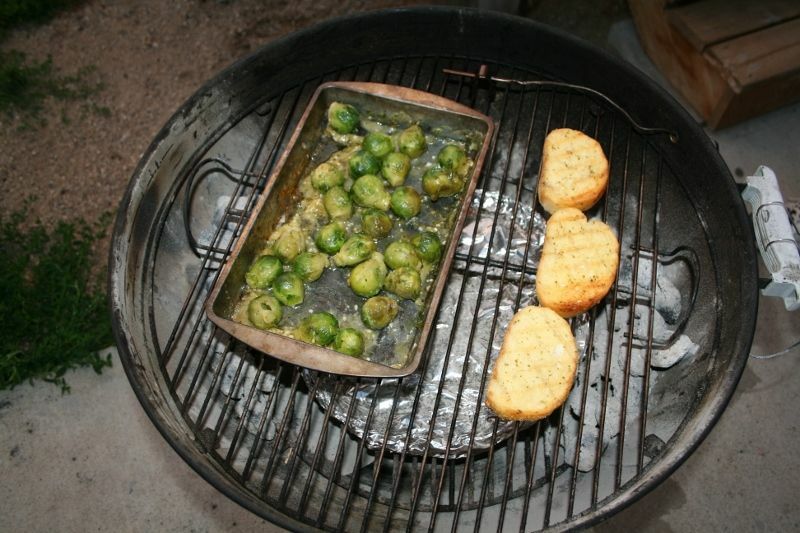 While the pork loin was resting took the rotisserie ring of the Weber kettle and added brussel sprouts seasoned with Desert Gold, minced garlic and a little butter in the pan and some garlic toast on the grill. 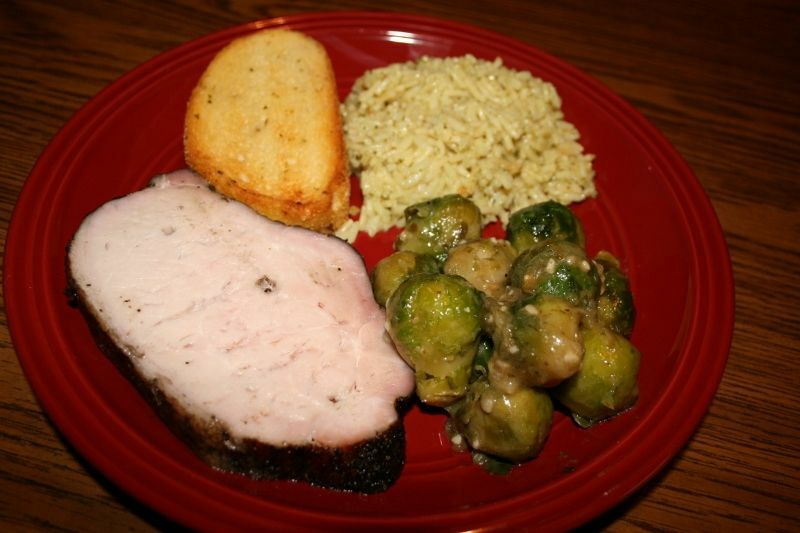 Pork loin, garlic toast, rice and brussel sprouts. 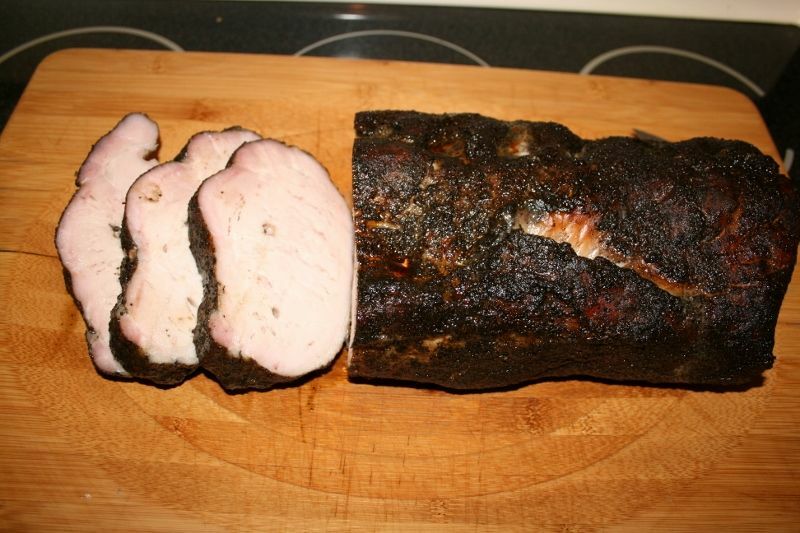 The pork loin was very moist a flavorful! MossyMO, that's a fine looking plate ya got there. The loin looks very good, h@ll, I'd even eat the brussel sprouts, very nice job.